Who is trying to get your attention? Be notified of incoming calls, texts, and visitors. Unique flashing patterns and adjustable ring tones. USB port for charging smart phone. Easy to use with home or cell phone. Alkaline battery backup (not included). Compatible with CA-360, CA-380, CA-PX, and CA-RX systems. Alerts you to the ringing of your home/cell phones, text messages, and Skype* calls, distinguished by unique flashing patterns and adjustable ring-tone loudness. Simple to use. Just plug your home phone and/or set your smart phone to "vibrate" and place it on the unit. Bright indicator lights flash when a call or text message has been missed. USB Port serves as a convenient, dedicated charging station for your cell phone. Built-in jack for optional bed shaker so you'll never miss a call, even while you sleep. Battery backup in case of power outage (Alkaline batteriesnot included). * Skype is a trademark of the Microsoft group of companies and Serene Group, Inc., is not affiliated, sponsored, authorized, or otherwise associated with or by the Microsoft group of companies. 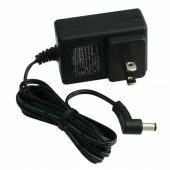 A3: Use the short cable to directly connect your mobile phone to the CA-Mini. Q: Home / Cell Phone Sensor-Transmitter flashes randomly when no calls have been received. A2: If it is placed next to a strong RF system, try moving the unit further away. A4: Make sure the unit is not placed on a vibrating surface, for instance, a countertop with kitchen tools. Move the unit to a stable surface. A5: The cell phone was not placed correctly on the resting platform. Carefully replace your cell phone on the holder of the unit. Q: Will the Home / Cell Phone Sensor-Transmitter detect WEA alerts? A: If your cell phone provider provides Wireless Emergency Alerts, the CA-Mini will detect them. Q: Must I have the Home / Cell Phone Sensor-Transmitter plugged into the AC Adapter, to use the USB Charging Port to charge my cell phone?